Sounds of Palestine started in 2012, when its founder – who has to remain anonymous for her safety – was inspired by El Sistema, the free ‘Music for Social Change’ programme in Venezuela. El Sistema’s creator, José Antonio Abreu believed that music “is an agent of social development in the highest sense, because it transmits the highest values – solidarity, harmony, mutual compassion”. 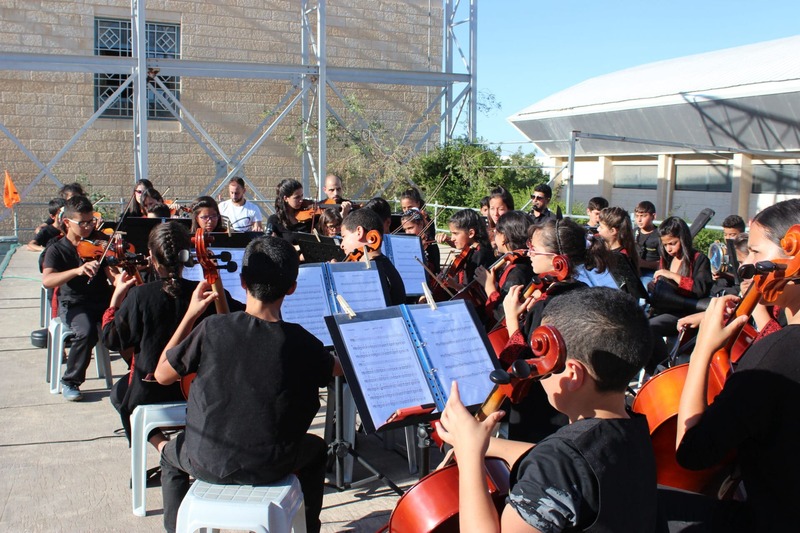 It helps kids develop as people, not just as musicians – an opportunity that Sounds of Palestine wanted to bring to children living under military occupation in the West Bank. 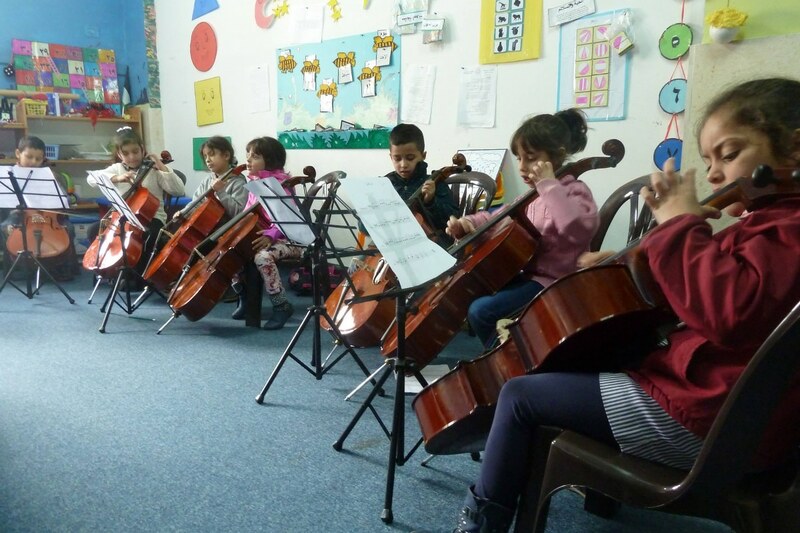 Sounds of Palestine started offering lessons in kindergartens in Bethlehem’s al-Azzeh and Aida refugee camps. After the first year, they welcomed a new group of budding three and four year old musicians, and continued teaching the previous year’s class as they progressed to first grade. 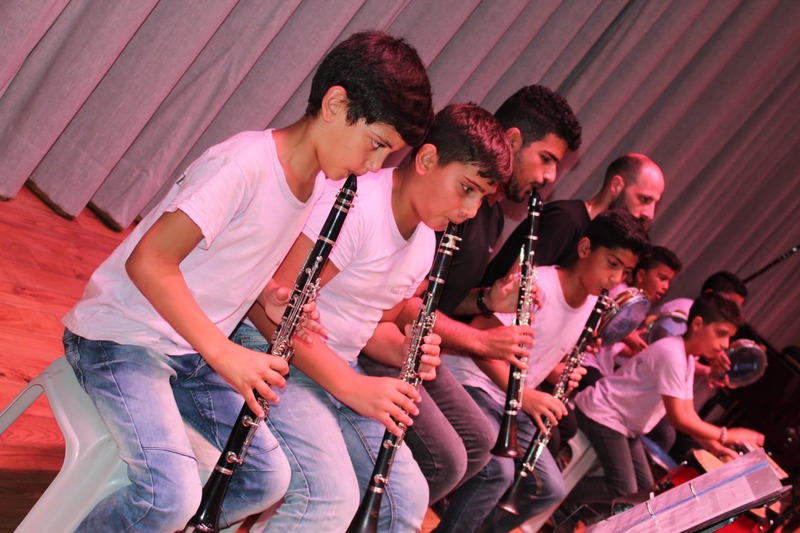 It has grown this way year by year, and expanded to nearby Dheisheh refugee camp and local villages, so that 250 children aged 3-12 are now getting musical at least twice a week. 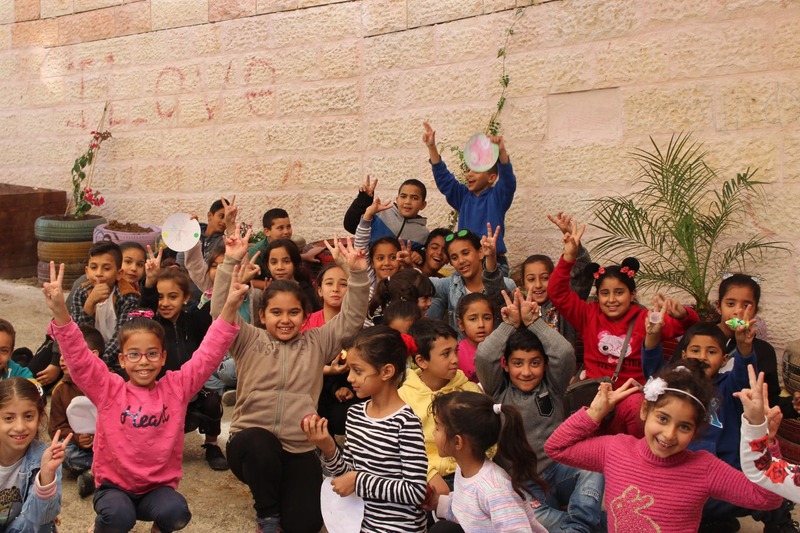 And it’s no wonder it’s a hit – Sounds of Palestine is the only music education available in Palestine that’s long-term, completely free, and includes healthy food as well as transport to and from class. 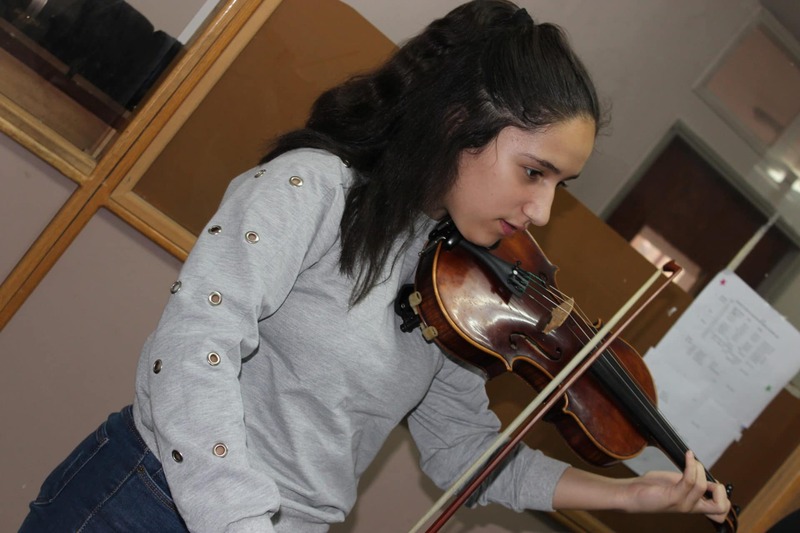 Musical education creates a sense of connection and togetherness that is hard to find elsewhere – something that is all the more important in the face of the day-to-day threats, restrictions and tragedies of life in Palestine. “When we finish the orchestra rehearsal you can see and feel that the children are connected, they are sharing something beautiful together, they have something that no one can take away from them. Their musical adventures have connected them not just with each other, but with children around the world. Eight students were invited to take part in Amsterdam’s international music festival Cello Biennale 2018 – an opportunity to see the world for kids whose parents don’t even have a passport. 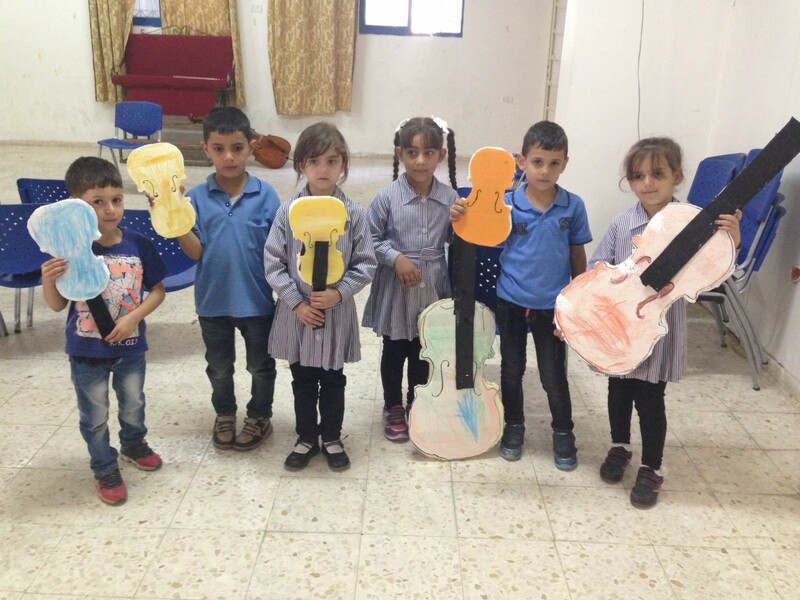 AtlasAction: Help Sounds of Palestine keep bringing the magic of music to more and more children by buying an instrument or a hot meal – or if you’re a musical whizz, get in touch to volunteer as a teacher-trainer. FutureLeague interview ► Sounds of Palestine was chosen to be part of #CultureFutures by Common Wealth – theatre that breaks the middle class mould, that celebrates the universal and the stories-less-told. AtlasChart of the arts ► Check out Common Wealth’s Top 3 projects changing the world through breakdancing, trash-matching and the magic of orchestra. Nature-geek, urban forager and all-round wordy sort. Freelance strategist and copywriter for organisations that care about the future. Often found reading while walking. Tags: Awareness raising, Communication, Community, Culture, CultureFutures, Education, Empathy, Empowerment, Identity, Mentoring, Music, Peace building, Refugees, Youth.